First Line: Four grunts, an indignant voice asking why nobody could leave a hat alone, a slammed door, and Mr. Packington had departed to catch the eight forty-five to the city. In this short story by Agatha Christie, Maria Packington thinks her husband is having an affair, and in an attempt to put some pizzazz back into her marriage, she responds to a newspaper ad from Mr. Parker Pyne, who promises to provide solutions to unhappiness. It's not long at all before Maria's life undergoes a profound transformation. I don't often review individual short stories on my blog, but I enjoyed this Parker Pyne story so much that I just had to say something about it. Parker Pyne spent thirty-five years in a government office compiling statistics, and he's turned all that knowledge into a rather delightful business aimed at making people happy. He is a keen observer and has a vast understanding of human psychology, and with the help of a few assistants, it seems that he can work miracles. The delight for me is that the way Pyne conducts his business makes him almost appear to be a magician and the way he plans, organizes, and conducts his solutions reminds me of one of my favorite movies, George Roy Hill's The Sting. An added bonus in the story is the appearance of Miss Lemon as Pyne's secretary. Any Christie fan will be able to tell you that Miss Lemon is better known as Hercule Poirot's personal assistant. 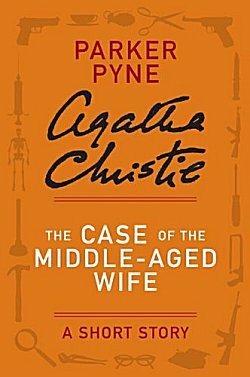 It seems to me that Parker Pyne and Miss Marple have quite a lot in common. They are both keen observers and have a vast knowledge of human nature. The only real difference between them is that Pyne gets paid for his skills. I enjoyed this story so much that I bought an entire collection of Parker Pyne short stories, and I'll be letting you know what I think of them in the near future. So glad to see this one being highlighted here, Cathy. I've always thought that Parker Pyne deserved more recognition than he got. Glad you enjoyed this. I also enjoyed the short story collection I purchased, but more of that in an upcoming review.